This book will focus on some of the most dangerous hacker tools that are favorites of both White Hat and Black Hat hackers. It begins with some of the fundamentals of networking and technologies that are vital to be aware of for every hacker. It will cover some studying techniques that can be used in order to be able to follow today's quickly growing technologies, and then will recommend additional study materials and what certification path you should be aiming for in order to become an IT Professional. The focus of this audiobook will be to introduce some of the best well-known software that you can use for free of charge - furthermore where to find them, how to access them. And finally, in every chapter, you will find demonstrated step-by-step examples on hacker tools. The discussions and implementation examples will provide you not only how to use hacking tools, but how to become a "man in the middle" in multiple ways. Additionally, you will hear how to create a Denial of Service attack, how to manipulate the network infrastructure by creating fake packets, as well as how to replicate any networking device, and fool end users to install backdoors on demand. In order to understand hackers and protect the network infrastructure, you must think like a hacker in today's expansive and eclectic Internet and you must understand that nothing is fully secured. There are many step-by-step methods on how to plan a successful penetration test and examples on how to manipulate or misdirect trusted employees using social engineering. The intention of this content is to benefit listeners by reviewing detailed facts as well as personal experience. 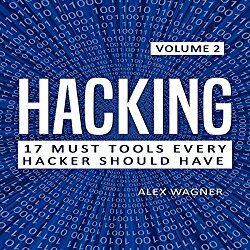 Your listening of this audiobook will boost your knowledge on what is possible in today's hacking world and help you to become an ethical hacker.